Resting aside a roaring fireplace. Lounging on the back deck, cigar smoldering in a ceramic tray. Smiling in contentment amid the rotating echoes of an acoustic quartet. All are homespun scenes of enjoyment, and all can be enhanced by a two-ounce pour of a balanced, well-rounded bourbon. Each is idyllic, albeit outside the assisting confines of your neighborhood tavern — and this is fine. Inside Buffalo’s barrooms resides two essential elements of bourbon enjoyment that can’t be replicated through your isolated appreciation: education and good company. At 189 Public House in East Aurora, bourbons are a focus, including the Flamed Old Fashioned being created here. And Shaner notes this as a professional skilled in putting bottles in customers’ hands for home consumption. With appreciation and desire for rare bourbons on the rise, there’s no shortage shopping trips to his outlet and others. But in a committed drinking city like Buffalo, there are too many talented bartenders and encyclopedic bourbon menus across the region to simply shelter in place. You need to get out, take advantage of the local landscape — and maybe make a few friends while doing so. Five recommended bourbons for drinking straight up — and where to sip them. Here are a handful of places to find this experience. Nestled between the craft beer and wing destinations of Aurora Brew Works and Bar Bill, the rustic ambiance of East Aurora’s 189 is ideal for cozying up to caramel and vanilla notes. 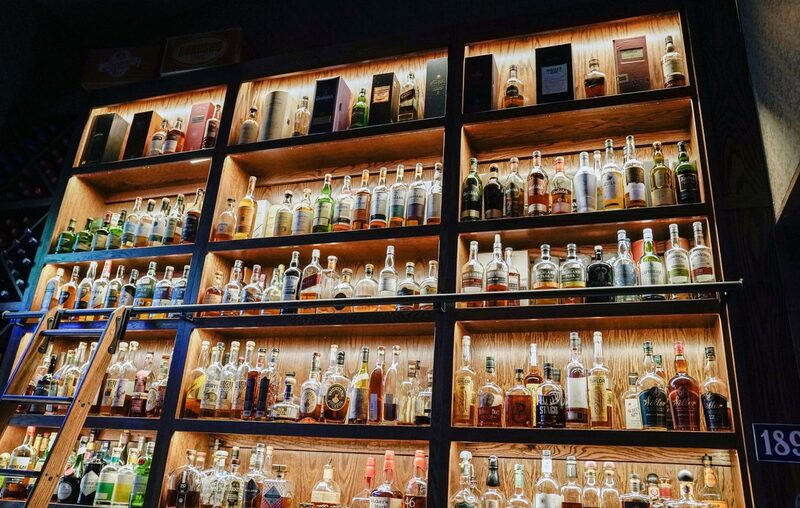 With its intimate bar space great for eliciting conversation among strangers, and its live music schedule ideal for pairing tunes with pours, it’s positioned itself as a choice bourbon spot in the Southtowns. ABV gets enough traffic for its rotating craft beer list and menu of elaborate, grass-fed burgers. But whether idling on its off-sidewalk patio or aside its wall of repurposed vinyl sleeves, customers can also tour through one of the city’s most impressive bourbon lists. Via single pours or flights — featuring four half-ounce pours of brands like Knob Creek and Bulleit — customers can get a burn inside Allentown’s favorite rock club-replicate bourbon bar. For locals or visitors filling its surrounding hotels, Lucky Day has become Buffalo’s headquarters for immersive bourbon consumption. Its menu provides a book of options as exhausting as they are intriguing; and its bartenders are veritable professors of the libation, with tips and tidbits to enhance your tasting knowledge and experience. And note: See its dinner menu, with small plates and entrees cultivated to complement your drinking visit. For Northtowns denizens who’d rather stay close to their Transit comfort strip, there’s the impressive indoor and outdoor confines of Neat. Boasting a menu of accessible and hard-to-find brands — and an expansive shopping center-side patio to host enjoyment of both — the Williamsville locale specializes in both neat and on-the-rocks servings of the most charred-oak notes to satisfy any suburban palate. If you’re not familiar with Winfield’s or where it’s situated on its Ridge block of Lackawanna, you may cruise right by. But for those knowledgeable of the dining favorite and cocktail cavern, it’s tabbed as a must-visit for those focused on solid pours and impressive selection. For those who prefer their bourbon via Manhattans, see Winfield’s weeknight Happy Hour, featuring the selection for $6 per.